October 11, 2018, 12:13 PM · Welcome to "For the Record," Violinist.com's weekly roundup of new releases of recordings by violinists, violists, cellists and other classical musicians. We hope it helps you keep track of your favorite artists, as well as find some new ones to add to your listening! Hilary Hahn. Photo by Dana van Leeuwen for Decca. "Wherever I am, Bach always seems to change the room," Hilary Hahn told Violinist.com. "You spin into a whole connected world with everyone who is in the same room." 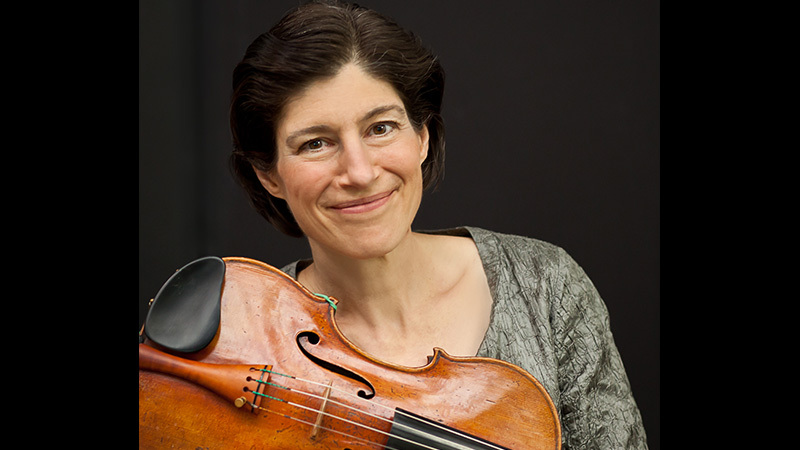 Hahn completes her recordings of J.S. Bach's Six Sonatas and Partitas for Solo Violin with this new recording of Sonata No. 1 in G minor; Partita No. 1 in B minor; and Sonata No. 2 in A minor. Her recording of the other three came out in 1997, on her very first album, also called Hilary Hahn Plays Bach, recorded when she was 16 and 17 years old. That one included the Partita No. 2 in D minor; Sonata No. 3 in C major and Partita No. 3 in E major. BELOW: Hahn talks about a lifetime of hearing, learning, playing and performing Bach. "Since the early days of cinema, music has transcended imagery and shaped our emotions," said violinist Renaud Capuçon, who said that the film Cinema Paradiso first inspired him to explore the music of film. "Since the film came out in 1988, when I was 12 years old, I knew that I wanted to play it one day," he said, "so this album is something of a dream come true." Besides music from Cinema Paradiso, Capuçon's new album includes music from Schindler's List, The Adventures of Robin Hood, Breakfast at Tiffany's, The Godfather, and The Twilight Saga: New Moon, representing composers Andrea and Ennio Morricone, John Williams, Erich Wolfgang Korngold, Vladimir Cosma, and Alexandre Desplat. BELOW: Renaud Capuçon records music written by John Williams for the movie "Schindler's List," by Steven Spielberg. Violinist Isabelle Faust joins cellist Jean-Guihen Queyras, violist Antoine Tamestit, flutist Magali Mosnier, harpist Xavier de Maistre and pianists Alexander Melnikov, Javier Perianes, and Tanguy de Williencourt in performing three sonatas, plus accompanied works for cello and violin as well as the Sonata for flute, Viola and Harp. The remainder of the program features a colorful selection of piano works from the Debussy's late period. This recording is part of a Harmonia Mundi series marking the centenary of the death of Claude Debussy.